The Democratic Congressional Campaign Committee, commonly referred to as the DCCC, on Friday implemented a new policy that would deter Democratic consultants from taking on primary challengers as clients. The goal is simple: to keep the progressive challengers at bay, National Journal reported. The DCCC said they would no longer award contracts to those consultants or recommend them to House candidates, which is said to protect moderate incumbents. The decision is another sign the Democratic Party is having internal conflict. The establishment Democrats are currently facing tough challenges from younger, more progressive candidates. But the decision can be detrimental to leftist campaign consultants. 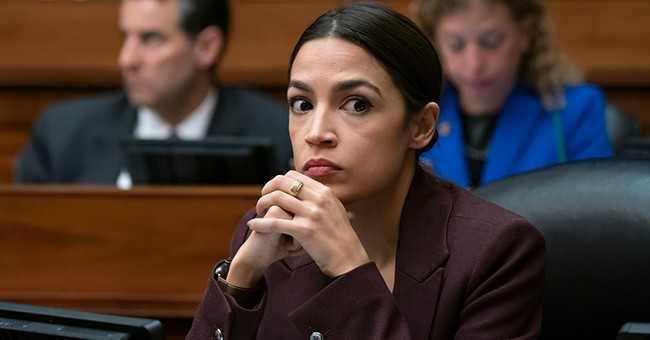 Republican pollster Frank Luntz pointed out one important tidbit: those who successfully worked on Rep. Alexandria Ocasio-Cortez's (D-NY) campaign would be blacklisted by the DCCC. Ocasio-Cortez chimed in on the new decision and provided insight into the Democrats' struggles. The ?? in the room here is big money & lobbyist donors. Our current system incentivizes *all,* no matter the party, to place big donors before voters. No primaries means lobbyist? ?will have even *more* influence over policy, bc voters will have one less avenue to pursue change. The DCCC's blacklisting can be a major win for the GOP if they play their cards right. If the Republican Party invests more in digital communications and grassroots efforts, we have a chance at winning back districts. The Democrats are so busy fighting within their own party that they're hurting their own cause. Republicans need to show up, reach out to new voters and be the voice of reason. As long as we continue to get our message out and the Democrats continue their in-fighting, the more likely we are to win.